Hit me with your best shot. Janet Lilo. The Physics Room. 26 July – 25 August. The kids from Hornby High. At home I’m always conscious of how white I am. Strolling down the main road of Otahuhu, I have the farest skin. I am Samoan. Arriving in Christchurch I am very conscious of how Pacific I am. 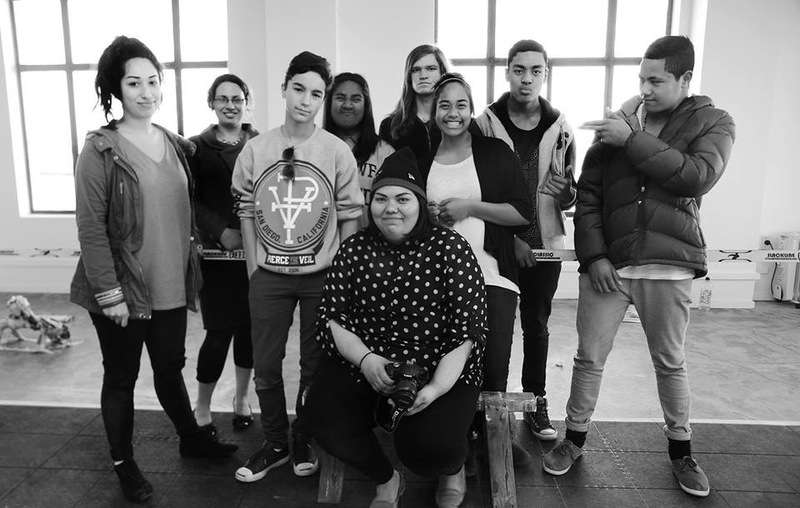 When I shared my story about art and life with the Pacific kids from Hornby High, it almost slipped out. 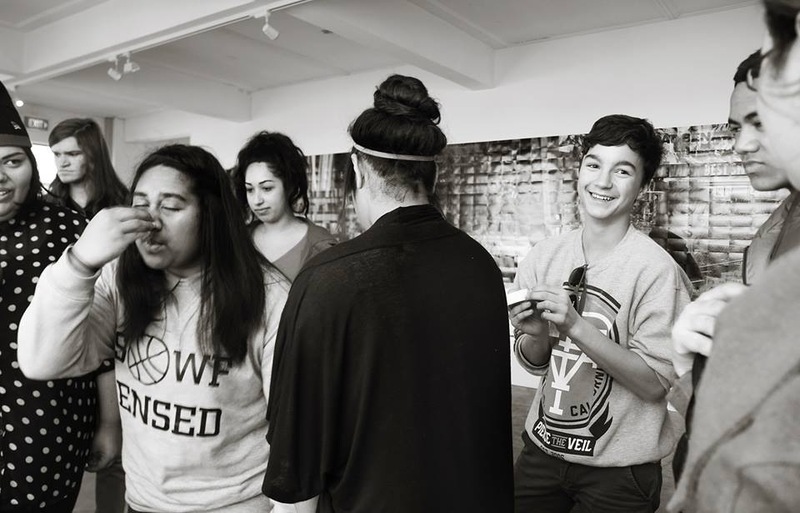 So often in Auckland based youth mentorship programs we talk about how there are few Pacific people in our tertiary institutions or art schools. We go on to say ‘that’s why we’re so important, because people like us are needed to provide these Eurocentric spaces with diversity’. I genuinely believe this. 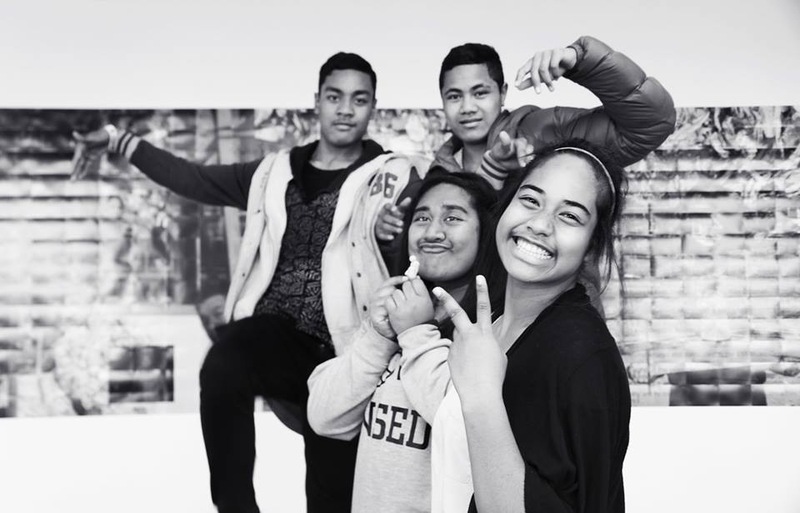 For many years I’ve been involved in organisations like Tautai, programs like Tuakana all about bringing us together to foster tight communities of diversity. Without these programs important things wouldn’t come into fruition for me and many like me. But as I was speaking I realized this thing I deal with only within art school, a small slither of life, is reality for these kids everyday. So I’m in Auckland. I receive all these resources. Yet, these kids in the South Island with limited and little access to the social infrastructure I rely so heavily on are still facing prejudices from the 1970s. This resilient teacher understood this need for them and picked them up (in their school holidays) and brought them to the Physics Room, where Janet ran her workshop. Man, it was so much fun. After cutting my finger cutting fruit for the kids, I joined them in constructing newspaper bridges and then blu-tack creatures. We were in the space before it opened to the public. Some may have thought a little sneak peak was something to be excited about, these kids were not phased. I don’t know who it impacted more, me or them. 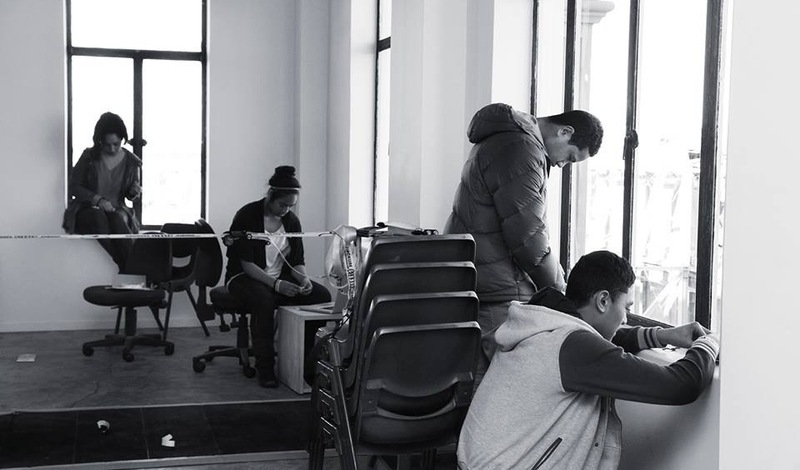 While cultural discussions aren’t necessary when talking about Janet’s work, the importance of her community is inherent. Her ability to engage with these kids as if she’d known them longer then 2 hours is a rarity. Her heart is of gold. Visiting Christchurch was a reminder that we aren’t all confined to South Auckland. And while it may be the heart of Pacific New Zealand for a lot, for many of us its just something understood at the other end of the media. Are our resources being best used?